The iMac has long been the core of Apple’s desktop lineup, but it hasn’t received any updates since June 2017. Now, however, Apple has quietly updated the 21.5-inch iMac with Retina 4K display and the 27-inch iMac with 5K Retina display while keeping prices the same. The bargain-basement non-Retina 21.5-inch iMac remains for sale, but received no changes. 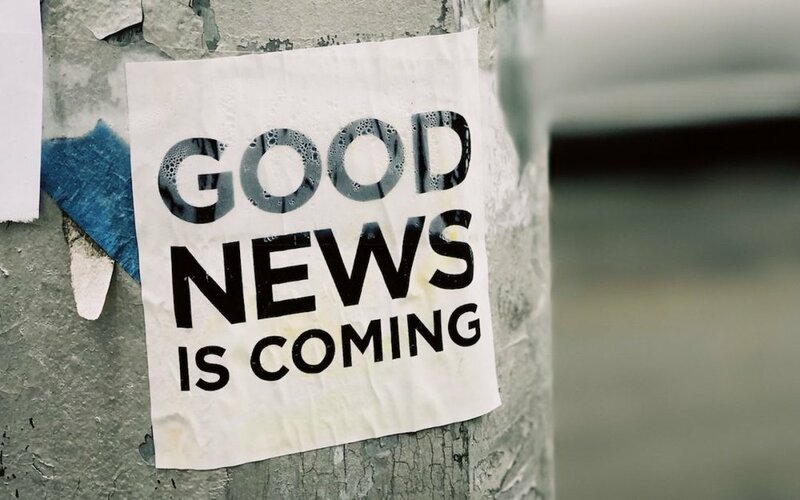 These updates are targeted at improving performance, so you won’t see any changes to the case, screen, or even networking capabilities. But if faster CPUs, GPUs, and memory are what you want, now’s a good time to buy. 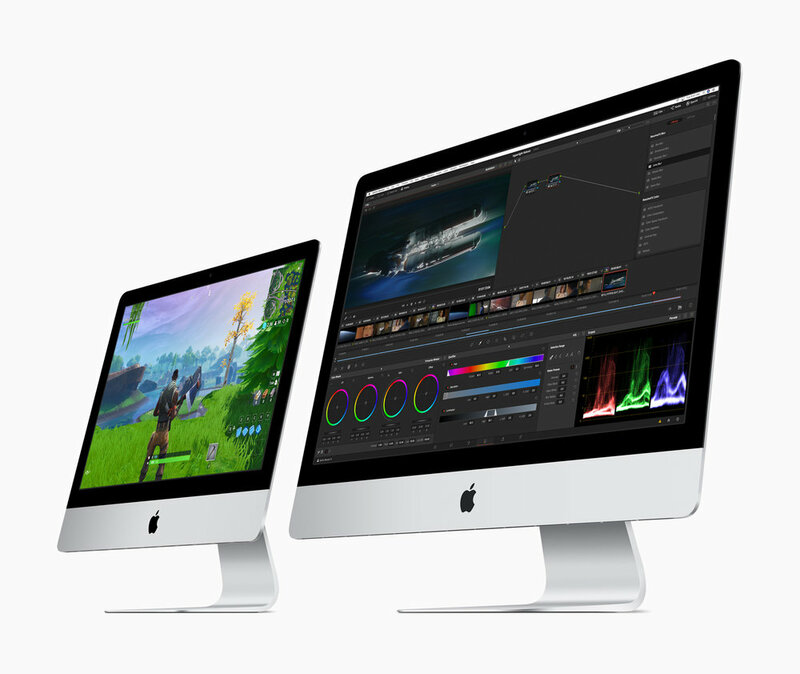 The new 21.5-inch iMac boasts speedier 8th-generation Intel quad-core processors and an optional 6-core processor at the top of the line that deliver up to 60% faster performance than previous models. For even greater speed boosts—Apple claims up to 2.4 times faster performance—look to the 27-inch iMac, which now offers 9th-generation 6-core Intel Core i5 processors running at 3.0, 3.1, or 3.7 GHz. If that’s not enough, you can choose an 8-core 3.6 GHz Intel Core i9 processor for the best performance short of an iMac Pro. Modern computers rely heavily on graphics processors for both silky smooth screen drawing and computationally intensive tasks. By default, both new iMac models have updated versions the previous Radeon Pro graphics chips, but anyone who needs more power can instead choose a blazingly fast Radeon Pro Vega. For the 21.5-inch model, Apple says the Radeon Pro Vega is up to 80% faster; for the 27-inch iMac, it’s up to 50% faster. Note that both iMacs now use 2666 MHz RAM instead of the previous 2400 MHz RAM. It probably won’t make much of a performance difference, but it’s worth keeping the speed in mind if you’re buying RAM separately from the iMac. For those ordering an iMac from the online Apple store, if the options you want are in the top-level configuration, start there rather than in the next configuration down. It’s possible to configure two Macs to have the same options for the same price but get a better Radeon Pro graphics processor if you start from the top-level configuration. For storage, we generally recommend SSDs over Fusion Drives—add external storage if you need more space. Whatever you do, don’t buy an iMac with an internal hard drive because it will destroy the performance. For those looking for the ultimate power in an iMac Pro, Apple also quietly added options for 256 GB of RAM (for a whopping $5200) and a Radeon Pro Vega 64X GPU ($700) while simultaneously dropping the prices on some other RAM and storage options. Wireless Charging AirPods?? Oh My! If you use Apple’s AirPods, you’re probably a fan. But if you haven’t tried them, you may not realize what you’re missing. They pair quickly and reliably with all your Apple devices, provide excellent audio quality, and sit comfortably in most people’s ears (more so than the wired EarPods). The AirPods are Apple’s most popular accessory—the company sold 35 million in 2018. The new AirPods still cost $159 with a standard Lightning-based charging case, but Apple has also introduced the Wireless Charging Case, which is bundled with the new AirPods for $199 or available separately for both the first- and second-generation AirPods for $79. The Wireless Charging Case works with any Qi-compatible charging mat. It features a tiny LED indicator light on the front of the case to show the case’s charge status, and if you buy from Apple online, you can now get 19 characters of personalized engraving on the front of the case. iPad mini lovers, rejoice! If you’ve been holding onto an aging iPad mini because of its small size, you’ll be happy to learn that Apple has at long last released a new 7.9-inch iPad mini with modern-day technologies. Joining it in the lineup is a new 10.5-inch iPad Air that turns out to be a retooled iPad Pro for a lot less money. It has been hard to recommend the iPad mini 4—last updated in September 2015—for several years now because its hardware was increasingly long in the tooth, and Apple hadn’t seemed enthused about updating it. That has all changed with the fifth-generation iPad mini, which boasts the same speedy A12 Bionic chip that powers today’s iPhone XR, XS, and XS Max. It provides over three times the performance as the iPad mini 4’s A8 chip and graphics that are nine times faster. The other huge change is that the iPad mini now lets you use the $99 Apple Pencil for drawing, taking notes, and more. Note that the iPad mini supports only with the first-generation Apple Pencil, not the second-generation model that’s specific to last year’s iPad Pro models. Other welcome, but less notable, changes include a screen that is 25% brighter, displays more colors, and supports Apple’s True Tone technology for matching the color temperature of the screen to the light in your surroundings. The Wi-Fi + Cellular model of the iPad mini also now supports faster gigabit-class LTE connections and the improved Bluetooth 5.0. The basic specs of the rear-facing camera on the new iPad mini haven’t changed—it’s still an 8-megapixel camera—but it likely takes better photos and videos thanks to the A12 Bionic chip’s computational photography capabilities. Plus, the front-facing FaceTime HD camera can now capture 1080p video at 30 frames per second for better FaceTime calls. You can order the iPad mini now in silver, space gray, and gold. For 64 GB of storage, a Wi-Fi–only model costs $399, whereas a 256 GB model is $549. Adding cellular connectivity bumps the prices to $529 and $679. Despite its name, the new 10.5-inch iPad Air has far more in common with the now-discontinued 10.5-inch iPad Pro from 2017 than it does with the 9.7-inch iPad Air 2 from 2014. Apple has clearly taken the iPad Pro and modernized it with the current A12 Bionic chip, gigabit-class LTE, eSIM, and Bluetooth 5.0. But to cut $150 from the iPad Pro’s $649 starting price, Apple replaced the iPad Pro’s rear-facing camera with a less-capable model and traded the quad speaker system for stereo speakers. That’s not to say that the iPad Air’s rear-facing camera is a problem—it’s the same 8-megapixel camera as in the iPad mini—it’s just not at the level of the 12-megapixel camera that was in the 10.5-inch iPad Pro. Like the old iPad Pro, the iPad Air supports the first-generation Apple Pencil and the original $159 Smart Keyboard (again, not the Smart Keyboard Folio for the 2018 iPad Pro models). As with the iPad mini, Apple offers only two tiers of storage, 64 GB for $499 and 256 GB for $649, and the cellular option increases the pricing to $629 and $779. The color choices are again silver, space gray, and gold. Apple’s slate of iPads makes a lot of sense now, with this new fifth-generation iPad mini and third-generation iPad Air joining the sixth-generation iPad and the 11-inch iPad Pro and third-generation 12.9-inch iPad Pro. If you want small, get an iPad mini. If you want cheap, buy the iPad. If you’re looking for a bigger screen or Apple keyboard (the Smart Keyboard is excellent), go for the iPad Air. And if you have the budget, the 11-inch and 12.9-inch iPad Pro models are fabulous. Apple has a helpful online comparison tool, or feel free to ask us what we’d recommend for you. Have you ever looked over your spouse’s shoulder and thought, “Hey, that’s a cool app.”? If you set up Family Sharing (in System Preferences > iCloud on the Mac, and in Settings > Your Name in iOS), you can download almost any app that someone else in your family has purchased on either the Mac App Store or the iOS App Store. How you find these shared apps depends on the platform. On a Mac running macOS 10.14 Mojave, open the App Store app, click your email address at the bottom of the sidebar, and then click the name next to “Purchased by” to see another family member’s purchases. In iOS 12’s App Store app, tap your icon at the upper right, tap Purchased, and then tap a family member to see their purchases (note that you can select Not on this iPhone/iPad to narrow the choices). Click or tap the cloud icon to download a purchased app. The Caps Lock key on Mac keyboards often feels extraneous, since it’s easy enough to hold the Shift key while typing multiple capital letters for acronyms like HIPPA or when you want to shout GET OFF MY LAWN! But if you need to do that on an iPhone or iPad, it’s annoying to keep tapping the Shift key to switch to the uppercase keyboard for each letter. Luckily, Apple has baked a time-saving trick into its onscreen keyboard. Tap the Shift key twice in a row to lock it on, type the letters you need, and tap it again to unlock it. Notice that when Shift is locked on, a horizontal line appears beneath the arrow on the Shift key. In the meantime, if you’re still concerned (there were some reports of people being able to invoke the bug even after Apple disabled Group FaceTime), we recommend turning off FaceTime entirely in Settings > FaceTime in iOS and by launching the FaceTime app in macOS and then choosing FaceTime > Turn FaceTime Off. (Or just be quiet when a FaceTime call comes in.) Apple may be able to fix the problem without requiring users to update software; if iOS and macOS updates do prove to be necessary, we recommend that you install them sooner rather than later. If you’ve been good about backing up your iOS devices to iTunes on your Mac or to iCloud, give yourself a gold star! Both backup destinations are fine, but there’s one potential downside to iTunes backups: they can consume a lot of space on your Mac’s drive. In iTunes, go to iTunes > Preferences > Devices, where you’ll see all the iOS device backups that iTunes has stored. If there are multiple older backups or any for devices you no longer own, you can get rid of them. Control-click the offending backup, and choose Delete. Or, if you want to check how large a backup is first, instead choose Show In Finder, and then in the Finder, choose File > Get Info. When you’re ready, move the selected backup folder to the Trash. Apple has thrown back the curtain on its latest batch of iPhones and a new model of the Apple Watch. The company also announced plans to release iOS 12, watchOS 5, and tvOS 12 on September 17th. macOS 10.14 Mojave will follow a week later on September 24th. Last year’s iPhone X was a massive hit, so Apple has gone further down that road, dropping the Home button and Touch ID and focusing on Face ID in this year’s iPhones. 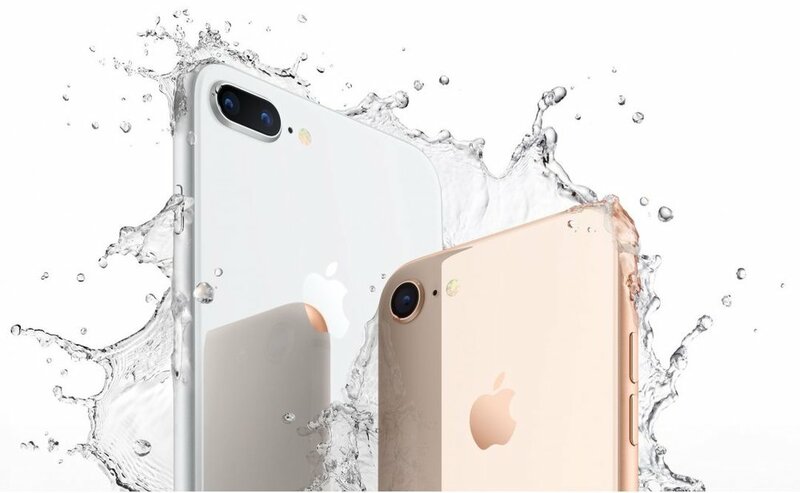 There are three models: the mid-level iPhone XS (pronounced “Ten Ess”), the big iPhone XS Max, and the less-expensive iPhone XR. What do you get for your money? All three new iPhones rely on Apple’s new A12 Bionic chip, which promises faster performance and reduced power consumption compared to last year’s A11 Bionic. Along with snappier overall responsiveness, the A12 Bionic enables new computational photography capabilities. Users of these iPhones will enjoy Smart HDR, which combines multiple images behind the scenes to produce better photos, and depth-of-field editing for adjusting the background behind a photo’s primary subject. Apple also improved the camera hardware, enhancing the dual 12-megapixel rear-facing cameras in the iPhone XS and XS Max with larger, deeper pixels and an improved True Tone flash. The iPhone XR lacks 2x optical zoom because it has only a single rear-facing 12-megapixel camera, but thanks to the A12 Bionic’s processing power, it can still take photos in Portrait mode and do depth-of-field editing. The rear-facing cameras on all three models can capture up to 4K video at 60 frames per second—now with stereo sound. The front-facing camera on each iPhone is a 7-megapixel TrueDepth camera that can also capture 1080p video. If you carry separate work and personal phones, or if you travel abroad frequently, you’ll appreciate the new dual-SIM capability that lets these iPhones support two phone numbers simultaneously, each with their own plan. What differentiates these iPhones from one another? One big difference is the screens. Apple makes much of the iPhone XR’s LCD display, which is essentially a newer and larger version of the screen in last year’s iPhone 8. It won’t look as good as the OLED screens in the iPhone XS models, but unless you’re watching a lot of video or playing photo-realistic games, you may not notice. Another difference between these models is size. The iPhone XS is the smallest, clocking in at a few millimeters and grams under the iPhone XR. On the other end of the spectrum, the iPhone XS Max has essentially the same dimensions as the previous iPhone Plus models. The other major difference between the iPhone XR and the iPhone XS models is the case material. The iPhone XS models have glass backs and are edged in stainless steel that comes in silver, space gray, and gold. In contrast, the iPhone XR features colorful aluminum casings in red, yellow, white, coral, black, and blue. Both are gorgeous, but if you’re like many people, a protective case will prevent you from appreciating the case material. 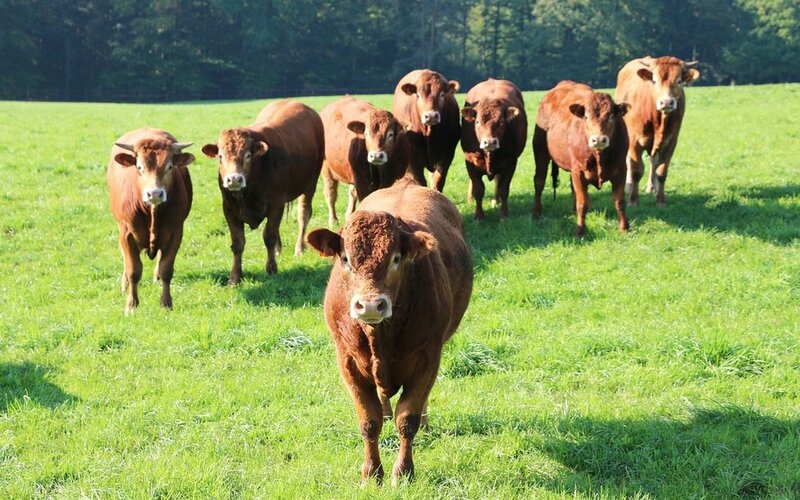 Should you consider upgrading to one of these new models? If your existing iPhone is on life support, absolutely. And, if you want the latest and greatest, the iPhone XS models are the best iPhones ever, particularly for photography. But for those with functional iPhones from the past few years, these new models are less compelling, especially since iOS 12 promises to speed up older devices as far back as the iPhone 5s. If you decide to buy one, which model you choose probably depends on how much you’re willing to spend since these are Apple’s most expensive iPhones ever. 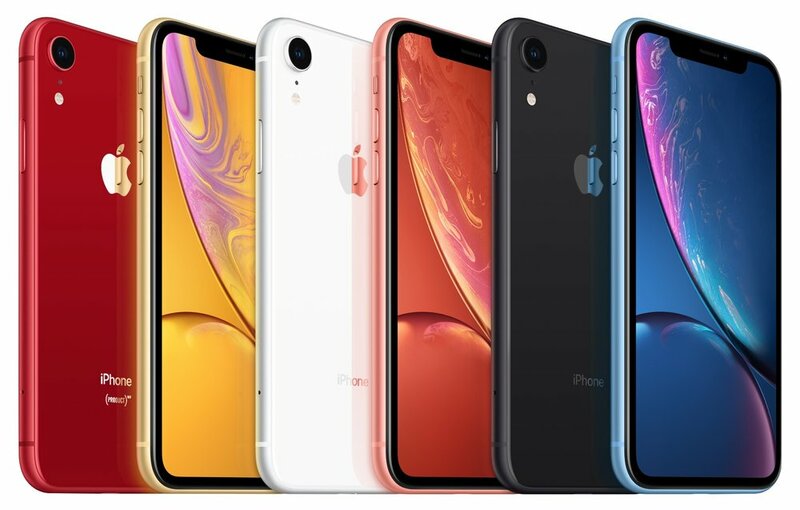 The iPhone XR combines modern technology with a lower price than the other two models, and the decision between the iPhone XS and XS Max comes down to size and cost. Finally, if the prices for the new models are too high, you can still get the iPhone 7 starting at $449 and the iPhone 8 at $599. In a first for the Apple Watch line, Apple changed the size and shape of the Apple Watch Series 4, boosting the vertical screen dimensions to 40mm and 44mm, up from 38mm and 42mm, and making the screens a little wider to retain the same proportions. However, the new models are 1.1mm thinner and thus have less total volume. You’ll want to try on the different models before buying to see how they look and feel on your wrist. Happily, the Series 4 can use the same bands as previous models. Apple claims the new display, which extends into the corners of the screen, is “edge-to-edge,” and while there still is a black border, it’s smaller than before. The overall viewing area is about 30% larger. To use the extra screen space effectively and show off the power of its new S4 chip, the Series 4 comes with some new faces. The Infograph face can incorporate up to eight complications, the Breathe face moves in time with a deep breath, and Vapor, Fire, Water, and Liquid Metal faces animate behind virtual clock hands. 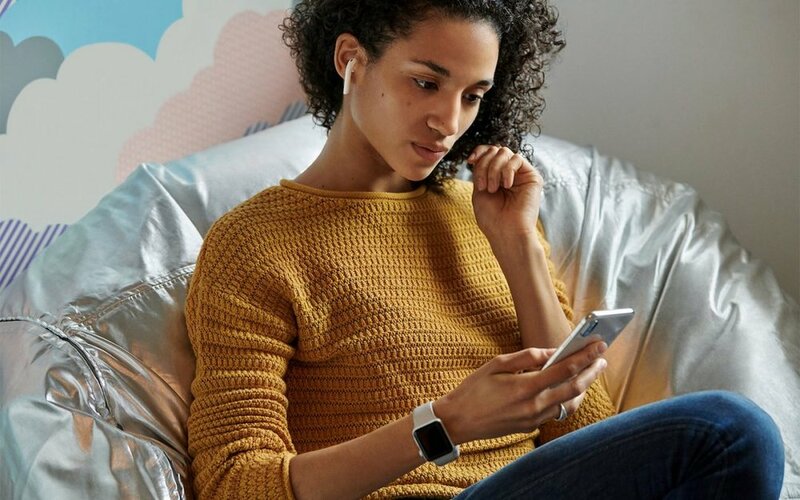 More practically, the Apple Watch Series 4 incorporates new and enhanced sensors. Later this year, the electrodes built into the Digital Crown and the back crystal let you record an electrocardiogram and, after 30 seconds, receive a heart rhythm classification that can identify signs of atrial fibrillation. Recordings are stored securely in the Health app, where you can share them with doctors. Even if you don’t use the ECG app manually, the Series 4 analyzes your heart rhythms in the background and alerts you if it detects irregular rhythms or if the heart rate exceeds or falls below a threshold. Plus, the Series 4 can now use its accelerometer and gyroscope to detect hard falls. If you fall, the Apple Watch sends you an alert, and if you don’t move for 60 seconds after the notification, it calls emergency services and notifies your emergency contacts of your location. Other improvements include a speaker that is 50% louder, a relocated microphone to make calls clearer, haptic feedback in the Digital Crown, a back made of sapphire crystal and ceramic for better cellular reception, and Bluetooth 5 for faster data transfer over greater distances. All this technology comes at a cost, and Apple has raised prices to match. GPS-only models of the Apple Watch Series 4 cost $399, and cellular-capable models are $499 (plus you’ll need to pay an additional $10–$15 for a cell plan). The Apple Watch Series 3 remains available at lower prices: $279 for GPS and $379 for cellular. You can pre-order on September 14th, and the Series 4 will ship on September 21st. Our take is that the new health-monitoring features of the Apple Watch Series 4 are compelling for anyone who is concerned about falls or heart monitoring. But the increased prices may steer those who are mostly interested in fitness features and iPhone notifications to the cheaper Series 3. A Quieter Keyboard on the New MacBook Pros - Sign Me Up! As students prepare to head off to college, Apple has updated the Touch Bar-equipped MacBook Pro line to provide even more powerful options for students and professionals alike. The changes are primarily under the hood, focusing on faster performance, more RAM, and larger SSD-based storage, but there are a few modest physical changes too, including a quieter keyboard and a True Tone display. Despite these improvements, pricing remains the same as for last year’s models. The 13-inch MacBook Pro that has function keys instead of a Touch Bar remains the same, as do the 12-inch MacBook and 13-inch MacBook Air. The new MacBook Pros move to Intel’s 8th-generation Core i7 and Core i9 processors. Previously, the 13-inch MacBook Pro used dual-core CPUs, but they now get quad-core chips. And the 15-inch models jump from quad-core chips to processors sporting 6 cores. More cores are better because more tasks can be split up between them, preventing one processor-intensive task from bogging down others. Processing power is just one aspect of overall performance. If your Mac doesn’t have enough RAM for the apps you’re using, it has to fall back on much slower virtual memory. For those who use memory-intensive apps, the new 15-inch MacBook can now take up to 32 GB of RAM, up from a maximum of 16 GB. RAM in the 15-inch models is also DDR4, which is faster and uses less power than the DDR3 RAM used before. Finally, if you don’t have enough fast SSD storage in a MacBook Pro, you may be forced to store large items like your Photos library and Parallels Desktop virtual machines on a slow external hard disk. The new MacBook Pros can have a lot more built-in SSD storage, but it’s pricey. The 13-inch models max out at 2 TB, which will add $1400 to your bill, and the 15-inch models can go to 4 TB, assuming you have $3400 to spare. The 512 GB ($200) and 1 TB ($600) upgrades are more reasonably priced. Apple continues to tweak the controversial butterfly-switch keyboard. Some people haven’t liked the shallow key travel and how much noise it makes, and its keys have a tendency to stick. The new MacBook Pros feature a keyboard that’s quieter and hopefully more reliable. You’ll also notice the new Retina displays with True Tone. First introduced with the iPad Pro and added to the iPhone in 2017, True Tone adjusts the white balance of the screen based on ambient light to make the screen more comfortable to view. It should be particularly appreciated by students working late into the night. You know how you can issue commands to Apple’s virtual assistant on your iPhone or iPad by saying “Hey Siri”? That’s possible in the new MacBook Pros also, thanks to the inclusion of Apple’s new T2 chip. The T2 also manages the Touch Bar, facilitates a secure boot feature, and encrypts files on the fly to increase security. These MacBook Pros are the first to support Bluetooth 5.0, which is backward compatible with Bluetooth 4.2. As Bluetooth 5.0 peripherals become more widespread, they’ll be able to communicate with the MacBook Pro at higher data rates and longer ranges—think of Bluetooth working across your entire house, rather than being limited to a single room. The entry-level 13-inch MacBook Pro starts at $1799, and the 15-inch model at $2399. With both models, you can choose between silver and space gray, and they’re available now. Our take is that, like most of Apple’s speed-bump upgrades, these new MacBook Pros are simply better than the previous models—who turns down better performance for the same price? The True Tone display is also welcome, as is the quieter keyboard. And it’s nice that we can finally talk to Siri without having to hold down a key or click a button. Who Me? An iPhone Addict? Smartphone addiction is real. Do you check your iPhone before you get out of bed? During family dinners? Right before you go to sleep? 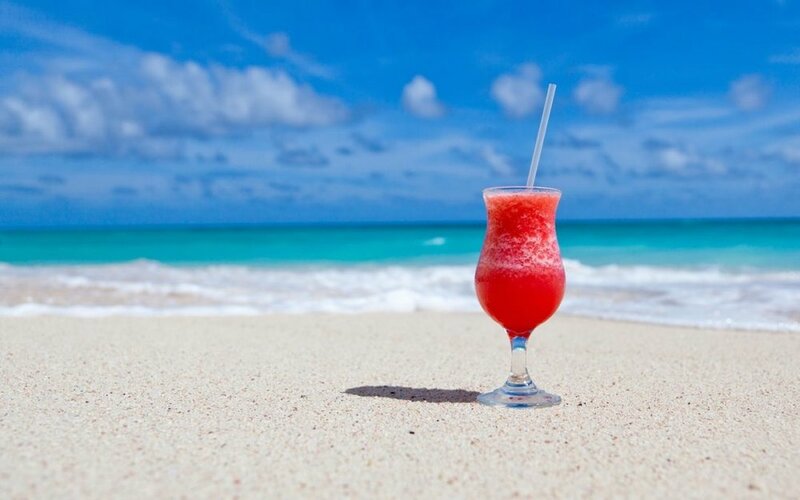 Constantly during the day even when you’re on vacation? If you—or your family members—feel that you’re disappearing into your phone too often or at inappropriate times, it may be time to do something about it. It then uses that information to paint a picture (well, not literally) of your iPhone use. Most people underestimate how much time they spend on their iPhones by about 100% (the average Moment user uses their iPhone for nearly 4 hours per day!). Knowing how much time you spend is the first step toward using your phone intentionally, rather than as a conduit to a constant stream of social media updates (look at the stats shown below), email messages, and quick-hit entertainment. To get started, use the App Store app to install Moment, and then launch the app. It starts tracking your usage immediately, although once per week you’ll need to take screenshots of Settings > Battery so Moment can figure out how long you use each app. Then ignore Moment for a few days so it can gather some data. On the main Screen Time screen, Moment shows how much time you’ve spent on your phone today, along with a scrolling bar graph of how much time you spent every day since you installed Moment. Don’t get too hung up on these raw numbers, though, since Moment tracks every second the screen is on. You probably aren’t concerned about time spent reading an ebook or working out with an app that talks you through a routine. To view both a breakdown by app and a timestamp for each time you picked up your iPhone, tap any day’s entry, and to see how much you use a particular app on average, tap it in the day view. You can answer a Yes/No question about whether you’re happy with how much you use the app, which informs the Time Well Spent aggregate data about which apps people are and are not concerned about. All that is helpful, but for a more useful overview, tap Insights and then Week. 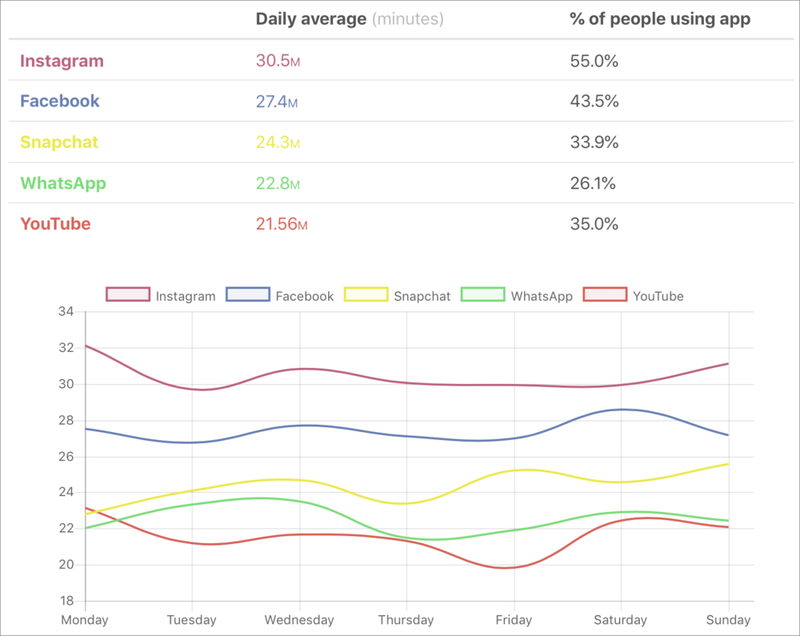 You’ll see graphs of your usage patterns for screen time, waking life, pickups, most used app, and sleep (this depends on your first and last pickups of the day, so take its data with a grain of salt). Tap any graph to see more detail, but wait until you’ve used Moment for a while. Everything we’ve described so far is free, but Moment offers additional features for a one-time $3.99 in-app purchase. They let you exclude certain apps from the app-use detection, if you don’t want to be dinged for using apps that are necessary or otherwise positive. You can receive quick reminders about your usage, and set daily time limits. There is even a 14-day Phone Bootcamp course that helps you rethink your relationship with your phone. More interesting for parents is Moment Family, a subscription service ($26.99 for 6 months or $44.99 for 12 months) that allows you to monitor your entire family’s screen time with Moment, set phone-free dinner times, and enforce daily limits. So if you’re perturbed by the amount of time you spend using your iPhone every day, give Moment a try. On its own, it won’t solve your problem but by showing you exactly how often you turn to your phone—and for what apps—it can help you regain control over your usage patterns. And if others in your family have trouble putting their iPhones down at dinner or to do homework, Moment Family could be the answer. A client got in touch recently with a maddening problem. When he received texts on his iPhone, Messages displayed notifications for messages from everyone…except his wife! Needless to say, this was a problem. Since notifications appeared correctly for other people, it wasn’t related to overall settings. 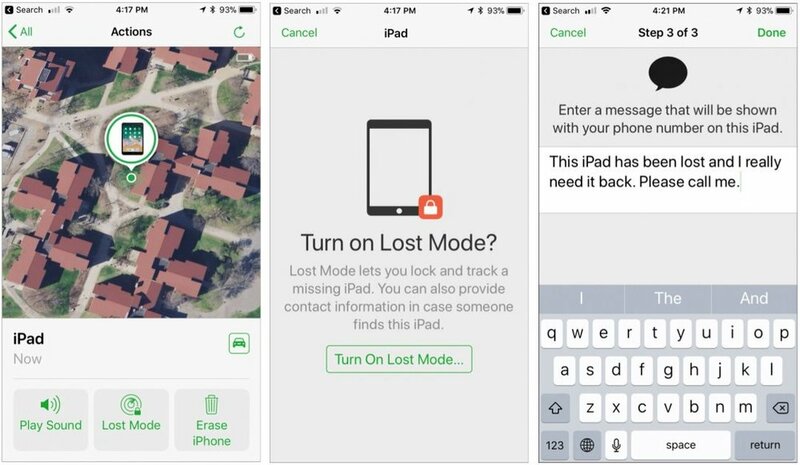 It turned out that he—or someone else, or iOS gremlins—had inadvertently enabled the Hide Alerts switch for the Messages conversation with his wife. To fix it, all he had to do was display the conversation in Messages, tap the i button at the upper right, and disable Hide Alerts. (In the Mac version of Messages, click the Details button and look for the Do Not Disturb checkbox.) It’s a good feature designed to let you mute a chatty group conversation, but it can cause stress if applied to the wrong conversation accidentally. At a special education event on March 27th, Apple introduced a new 9.7-inch iPad that offers faster performance, support for the Apple Pencil, and a few new camera-related features. 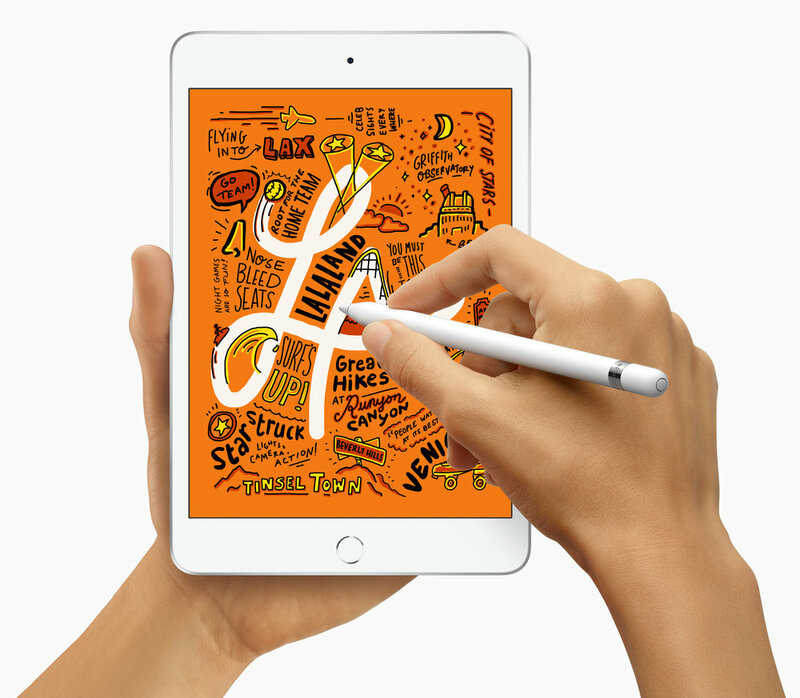 The company also released new versions of the iWork apps—Pages, Numbers, and Keynote—that let users draw, sketch, and write with the Apple Pencil. For the most part, the new sixth-generation iPad is the same as the fifth-generation model it replaces. Its physical dimensions are unchanged, so existing cases and accessories should continue to work. It comes in the same three colors: silver, gold, and space gray. Even the pricing and options remain the same, with a 32 GB model starting at $329—the jump to 128 GB adds $100, and cellular capabilities add $130. 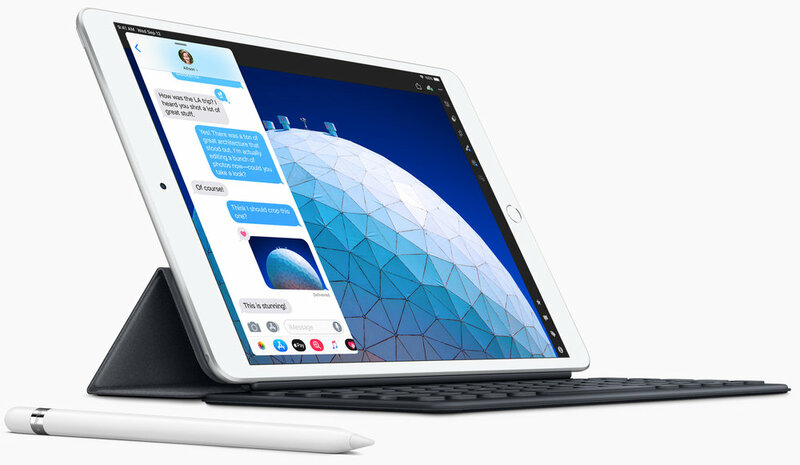 What sets the sixth-generation iPad apart from its predecessor is its support for the Apple Pencil stylus, which was previously restricted to the iPad Pro line, which started at $649. Thanks to a high-resolution touch sensor in the iPad’s Retina screen and palm-rejection technology, you can now use the $99 Apple Pencil in compatible apps. As with the iPad Pro, the Apple Pencil is sensitive to pressure and tilt so you can vary line weight and shading, much as with a traditional pencil. Also new in the sixth-generation iPad is Apple’s A10 Fusion chip, with its embedded M10 coprocessor. The company claims that the new processors provide up to 40-percent faster CPU and 50-percent faster graphics performance. The extra performance may also be related to the iPad’s new camera capabilities. Unlike the previous iPad, the sixth-generation iPad can take Live Photos and supports body detection in images along with the previously supported face detection. Also new is support for the Retina Flash feature that turns the screen into a giant flash when taking selfies. If you haven’t been using Pages, Numbers, and Keynote on the iPad, the latest updates may encourage you to try Apple’s iWork apps—remember, they’re available for free in the App Store. Notably, the three apps allow you to draw, sketch, and write directly within documents. Even more interesting, though, is Apple’s Smart Annotations feature, currently in beta. With it, your comments and proofing marks anchor dynamically to text, and stay with the text they were attached to even as the document changes. Smart Annotations are particularly welcome for those who take advantage of the real-time collaboration features built into the iWork apps. This was an education event, and it’s clear that Apple is building tools that will allow teachers to mark up and comment on student documents. But the same capabilities are equally as useful in the business world. For business users, Apple also announced that the real-time collaboration features in the iWork apps now work on documents stored in the Box file sharing service. Previously they were available only for documents stored in iCloud, which has little adoption in the enterprise. Finally, the iPad version of Pages gains features that help users create ebooks in EPUB format. And Apple added a new Presenter mode to Pages, which lets you turn your iPhone or iPad into a teleprompter for distraction-free reading. In the end, if you’re interested in using the Apple Pencil, the combination of the sixth-generation iPad and the updated iWork apps will let you do more for over $300 less than before. It seems like Apple releases updates to iOS, macOS, watchOS, and tvOS nearly every week these days. It has been only a few months since iOS 11 and macOS 10.13 High Sierra launched, and we’ve already seen ten updates to iOS and seven updates to macOS. Some of these have been to fix bugs, which is great, but quite a few have been prompted by the need for Apple to address security vulnerabilities. Have you installed all these updates, or have you been procrastinating, tapping that Later link on the iPhone and rejecting your Mac’s notifications? We’re not criticizing—all too often those prompts come at inconvenient times, although iOS has gotten better about installing during the night, as long as you plug in your iPhone or iPad. We know, security is dull. Or rather, security is dull as long as it’s present. Things get exciting—and not in a good way—when major vulnerabilities come to light. That’s what happened in November 2017, when it was reported that anyone could gain admin access to any Mac running High Sierra by typing root for the username and leaving the password field blank. That one was so bad that Apple pushed Security Update 2017-001 to every affected Mac and rolled the fix into macOS 10.13.2. Part of the problem with security vulnerabilities is that they can be astonishingly complex. You may have heard about the Meltdown and Spectre hardware vulnerabilities discovered in January 2018. They affect nearly all modern computers, regardless of operating system, because they take advantage of a design flaw in the microprocessors. Unfortunately, the bad guys—organized crime, government intelligence agencies, and the like—have the resources to understand and exploit these flaws. But here’s the thing. Security is an arms race, with attackers trying to take advantage of vulnerabilities and operating system companies like Apple, Microsoft, and Google proactively working to block them with updates. If enough people install those updates quickly enough, the attackers will move on to the next vulnerability. The moral of the story? Always install those minor updates. It’s not so much because you will definitely be targeted if you fail to stay up to date, but because if the Apple community as a whole ceases to be vigilant about upgrading, the dark forces on the Internet will start to see macOS and iOS as low-hanging fruit. As long as most people update relatively quickly, it’s not worthwhile for attackers to put a lot of resources into messing with Macs, iPhones, and iPads. That said, before you install those updates, make sure to update your backups. It’s unusual for anything significant to go wrong during this sort of system upgrade, but having a fresh backup ensures that if anything does go amiss, you can easily get back to where you were before. All iPhones pick up fingerprints, and it’s all too easy to get your iPhone dirty with ink, lotion, makeup, dirt, food, and oil. If you’re faced with an iPhone that needs cleaning, resist the urge to spray it with window cleaner, rubbing alcohol, or ammonia, or, even worse, to scrub it with baking soda or Borax. That’s because all iPhones have oleophobic—oil repellent—coatings on their glass surfaces that make it easy to wipe off fingerprints. You don’t want to remove that coating any faster than it will wear off normally, and cleaning products will strip it quickly. Instead, Apple recommends a soft, lint-free cloth such as you would use for glasses or camera lenses. By the way, even though the iPhone 7 and later have some level of dust and water resistance, it’s important to avoid getting moisture in the openings—most of the time, a lens cloth should be all you need. Our personal recommendation is AppleJuce; we love the product and carry it in both of our stores. It cleans screens and polishes the surface of all electronics. Just spray the cloth and wipe down the surface. It is safe, non-toxic, alcohol and ammonia free, and has a clean apple scent. Trust us. Cold and flu season is coming; you'll want to get those germs off! Even if you’re not buying a new iPhone this year, you can still enjoy a hefty dose of “New and Improved!” with Apple’s iOS 11, which provides a host of new capabilities. Hold on tight, there’s a lot to cover, and we have another article coming about the iPad-specific changes in iOS 11. After you install iOS 11, you’ll notice a few things right off. Dock icons no longer have names, and many Apple apps now have the bold text design Apple brought to the Music and News apps in iOS 10. Although the new Automatic Setup feature won’t help you today, when you next get a new iOS device, it can transfer many settings from an older iOS 11 device automatically. Similarly, the new Share Your Wi-Fi feature lets you send your Wi-Fi network’s password to another iOS 11 device that tries to connect. You may not need a new iPhone or iPad anyway, since iOS 11 can help you recover precious space. Choose Settings > General > iPhone/iPad Storage and you can offload unused apps (while keeping their settings and data), delete old Messages conversations automatically, and see how much space each app consumes. Deleting music from the Music sub-screen (tap Edit) will help too. Apple redesigned Control Center, which most people still get to by swiping up from the bottom of the screen (iPad users keep swiping up after the Dock appears, and iPhone X users will have to swipe down from the right-hand top of the screen). It’s back to a single page of icons, and you can access additional options by pressing and holding on any set of controls. Even better, you can add (and remove) controls in Settings > Control Center > Customize Controls. The Lock screen is all you’ll see while in the car by default now, thanks to the Do Not Disturb While Driving feature. It blocks notifications and prevents you from using your iPhone while at the wheel, all while auto-replying to people who text you. Calls still come through to your car’s Bluetooth system, and texts from people designated as favorites can break through the texting cone of silence. Passengers can disable Do Not Disturb While Driving easily from a notification on the Lock screen. Siri sounds more natural, can do translations, and uses on-device learning to understand you better and provide more useful results. On an iPhone, a new Emergency SOS feature will call 911 and notify your emergency contacts of your location after you press the Sleep/Wake button five times quickly and swipe the Emergency SOS button. Tap Settings > Emergency SOS to set this up. The password auto-fill feature now suggests stored login information for many apps right from the QuickType bar above the keyboard—manage this in Settings > Accounts & Passwords > App & Website Passwords. Camera: New file formats will make your videos and photos take up less space. There are a few new filters, and Camera can finally scan QR codes, which simplify loading Web sites, getting contact info, and connecting to Wi-Fi networks. Photos: You can now edit the video in a Live Photo and apply looping, bouncing, and long exposure effects. Photos can at long last play animated GIFs and has a new Animated smart album to hold them. Files: This major new app replaces the iCloud Drive app. Look in Files for access not just to iCloud Drive, but also to files on your device and in other cloud sharing services like Dropbox and Google Drive. Messages: A new app drawer at the bottom of the screen tries to entice you to use iMessage apps. Most are just stickers, but some are useful and Apple provides a new Apple Pay app here that lets you make person-to-person payments. Maps: Apple has added indoor maps of some airports and malls to Maps. Maps also now provides lane guidance on more complicated roads. Notes: The new Instant Notes feature make starting a note as simple as tapping the Lock screen of an iPad Pro with an Apple Pencil, or the optional Notes button in Control Center. A note can now look like lined paper or graph paper (tap the Share button, then tap Lines & Grids). You can also now scan a document. The idea is that you then sign it with the Apple Pencil and send it on its way. Notes can also now find text in Apple Pencil handwriting. At its highly anticipated product announcement event at the new Steve Jobs Theater, Apple didn’t disappoint. The big news was the revolutionary iPhone X, which eliminates the Home button and unlocks by recognizing your face. Apple also announced the evolutionary iPhone 8 and iPhone 8 Plus; a cellular-capable Apple Watch Series 3; and the Apple TV 4K, which supports 4K HDR video. The company said that iOS 11 and watchOS 4 would ship on September 19th, and later noted that macOS 10.13 High Sierra would arrive September 25th. Rather than calling the new model the iPhone 7s, Apple jumped to the iPhone 8 name to acknowledge significant hardware changes, notably a mostly glass case designed to allow wireless charging. Otherwise, the iPhone 8 and iPhone 8 Plus largely follow in the footsteps of the iPhone 7 and 7 Plus, featuring the same 4.7-inch and 5.5-inch screens, respectively. They’re almost the same size as the previous models, varying only by fractions of a millimeter in different dimensions, and are water and dust resistant too. Although the iPhone 8 models still sport a Lightning port (and come with a headphone jack adapter), you’ll charge them by setting them on a charging pad based on the Qi wireless charging standard (Qi is pronounced “chee”). Furniture retailer IKEA has even built such chargers into some of its tables. In 2018, Apple plans to release an AirPower charging mat that will charge an iPhone 8 or iPhone X, Apple Watch Series 3, and AirPods with a new charging case—all with no cables. The iPhone 8 and 8 Plus screens now support Apple’s True Tone technology, which changes brightness and color based on the ambient light. Plus, their stereo speakers are 25% louder than in the iPhone 7 and have deeper bass. Under the hood, the iPhone 8 models include a new A11 Bionic chip that Apple claims is the most powerful chip ever in a smartphone. The chip’s performance will particularly benefit games; apps that rely on machine learning; and apps using augmented reality, which can seamlessly place virtual objects in live video of the real world. Although the basic rear-facing camera in the iPhone 8 is still 12 megapixels, it uses an all-new sensor that captures 83% more light and provides deeper pixels, a new color filter, and optical image stabilization, all while using less power. That adds up to pictures with better color saturation, a wider dynamic range, and lower noise. Like the iPhone 7 Plus, the iPhone 8 Plus sports dual 12-megapixel rear-facing cameras, one with an ƒ/1.8 aperture and the other at ƒ/2.8. Those cameras have the same new sensor, and iPhone 8 Plus owners will be able to try a beta of Apple’s new Portrait Lighting feature, which lets you apply studio-quality lighting to your scene as you compose the shot. You can even change the lighting afterward. Both iPhone models boast improved video capture as well, in part due to a new image signal processor that provides faster autofocus in low light conditions. You can now shoot 4K video at 24, 30, or 60 frames per second, up from just 24 fps in the iPhone 7. And, you can capture slo-mo video in 1080p resolution at 120 or 240 fps, whereas the iPhone 7 was limited to 120 fps. The iPhone 8 costs $699 for a 64 GB model and $849 for a 256 GB model. Available colors are gold, silver, and space gray. Add $100 to either price for the iPhone 8 Plus. Apple will begin taking pre-orders on September 15th, with general availability a week later. If those prices are a bit steep for you, Apple continues to sell the iPhone 7 and 7 Plus, the iPhone 6s and 6s Plus, and the iPhone SE starting at $349. The iPhone 8 may be a small step up from the iPhone 7, but the new iPhone X is a giant leap into the future, setting the standard for the smartphone of tomorrow. Pronounced “iPhone Ten,” Apple’s new flagship iPhone boasts a stunning, edge-to-edge screen that fills almost the entire front face and eliminates the Home button. It shares the iPhone 8’s glass back and support for wireless charging. Although the iPhone X’s 5.8-inch screen is physically larger than the iPhone 8 Plus’s 5.5-inch screen, losing the bezel means that the iPhone X is just a few millimeters larger than the iPhone 8 and just a bit heavier. The extra size must have given Apple more room for the battery, since the iPhone X is supposed to last 2 hours longer than the iPhone 7 or 8. You’ll see more on the iPhone X’s OLED display, which Apple dubbed “Super Retina,” since it has more pixels—2436-by-1125 at 458 pixels per inch—than any previous iPhone. In comparison, the iPhone 8 Plus is only 1920-by-1080 at 401 ppi. With no Home button, you’ll interact with the iPhone X in different ways. You can wake an iPhone X with the Raise to Wake setting or by tapping on its screen. You invoke Siri with “Hey, Siri” or by pressing the new side button. To unlock the iPhone X, you swipe up from the bottom of the screen while looking at the iPhone X, and it uses Apple’s new Face ID technology to recognize your face, much like Touch ID did with your fingerprint in the past. Swiping up from the bottom of the iPhone X screen works across the system for jumping back to the Home screen or (if you pause briefly) opening the app switcher. Face ID seems like magic, but it relies on the TrueDepth front-facing camera system—that notch on the top of the screen—which includes a 7-megapixel camera, infrared camera, flood illuminator, dot projector, and more. Face ID can recognize your face even in the dark, and it continually adapts to your changing look, so it can handle glasses, hats, beards, and more, all without being fooled by a photo of your face. Like the iPhone 8 Plus, the iPhone X sports a pair of rear-facing cameras, but with slightly different specs. One has an ƒ/1.8 aperture, but the other is ƒ/2.4, as opposed to f/2.8 on the iPhone 8 Plus, and lets in 36 percent more light. The iPhone X also offers dual optical stabilization (on both lenses) for better low-light photos and videos. All this technology doesn’t come cheap—a 64 GB model costs $999, and a 256 GB model is $1149. You can choose between silver and space gray. Regardless, you’ll have to wait a bit longer for the iPhone X because Apple plans to start taking orders on October 27th, with general availability on November 3rd. The original Apple Watch couldn’t do much more than tell time when separated from its companion iPhone. The Apple Watch Series 2 gained a GPS to track your location on its own when you were running or biking. But now the Apple Watch Series 3 includes a cellular chip that allows it to make phone calls, get messages, use Siri, stream tunes from Apple Music to AirPods, and more all while your iPhone sits safely at home. It uses the same phone number but will cost an extra $10 per month from your carrier. To make untethered communication possible, Apple built the cellular antenna into the display and developed a special electronic SIM that’s about one-hundredth the size of an iPhone’s nano SIM. The Series 3 also boasts a faster processor that speeds up app performance and allows Siri to talk back you, along with a barometric altimeter to measure relative elevation. Amazingly, the Series 3 case is the same size as the Series 2, although the back crystal is a hair thicker. Battery life in mixed use remains at up to 18 hours, though you’ll get only an hour of battery life when making phone calls. The Apple Watch Series 3 has an aluminum body in three finishes: gold, silver, and space gray. For a different look (and potentially a lot more money), you can get Nike+ aluminum models, Hermès stainless steel models, and Apple Watch Edition ceramic models. Apple is also now offering a new Sport Loop band that’s meant to be light, stretchable, and breathable. You can pick from two Series 3 models: one with just a GPS chip like the Series 2 for $329 and one with both GPS and cellular capabilities for $399. Pre-orders start September 15th, with general availability on September 22nd. Apple no longer sells the Series 2 but has dropped the price of a Series 1 to $249. Apple’s set-top box hasn’t seen many changes of late, which makes the new Apple TV 4K all the more welcome for video buffs. The new device now supports two key video technologies: 4K and HDR. 4K video provides about four times as many pixels as are in 1080p video, and HDR (High Dynamic Range) supports more colors. The result is video that looks fabulous, with more detail, deeper colors, and better contrast than ever before. To see all that goodness, you’ll need a 4K TV that supports either the Dolby Vision or HDR10 standard—in other words, unless you’ve bought a TV in the last year or two, you’ll probably need a new one. Check the specs carefully! The third part of the puzzle, after you have a 4K TV and an Apple TV 4K, is 4K HDR content. Apple is working with major movie studios to bring 4K HDR video content to iTunes at the same price as HD movies. You’ll even get an automatic upgrade to 4K HDR versions of iTunes HD movies you’ve purchased, when they become available. Netflix 4K HDR streaming is expected immediately, and Amazon Prime Video should offer 4K HDR video on the Apple TV later this year. Dealing with all the 4K HDR video requires beefier hardware. The A10 Fusion chip doubles overall performance and quadruples the graphics processing speed over the fourth-generation Apple TV. The Apple TV 4K also sports faster and more modern networking connections: Gigabit Ethernet, simultaneous dual-band 802.11ac Wi-Fi, and Bluetooth 5.0. A 32 GB model of the Apple TV 4K costs $179, and a 64 GB model is $199 (stick with the smaller model unless you play large Apple TV games). You can pre-order it on September 15, and it will be generally available a week later. The fourth-generation Apple TV remains on sale for $149. Although Apple said nothing about when tvOS 11 would be available, it seems likely to ship with iOS 11 and watchOS 4 on September 19th. Whew! That’s a lot of new hardware from Apple in one day. If you’re considering buying an iPhone, Apple Watch, or Apple TV, you can now choose from new models with tempting features or time-tested older models at reduced prices. And if you’re confused by all the possibilities, feel free to contact us for advice! Long gone are the days of boomboxes and monster speakers—now we pump music directly into our eardrums with EarPods and AirPods. Noise-induced hearing loss is a real issue though, with millions of people damaging their hearing by playing music too loudly, even if it's done inadvertently. Happily, iOS can help protect your ears, and those of your loved ones. Navigate to Settings > Music > Volume Limit and lower the slider. If you’re doing this for a child, you can prevent them from changing it in Settings > General > Restrictions > Volume Limit > Don’t Allow Changes. This requires first setting a Restrictions passcode that only you know.